Groundwater that seeps into the coastal zone beneath the ocean's surface–termed submarine groundwater discharge (SGD)–is an important source of fresh water and nutrients to nearshore coral reefs throughout the globe. Although submarine groundwater is natural, it can act as a conduit for highly polluted water to shorelines. A recently published study, led by researchers at the University of Hawai'i at Mānoa's School of Ocean and Earth Science and Technology (SOEST), sheds light on the ways SGD affects coral reef growth. 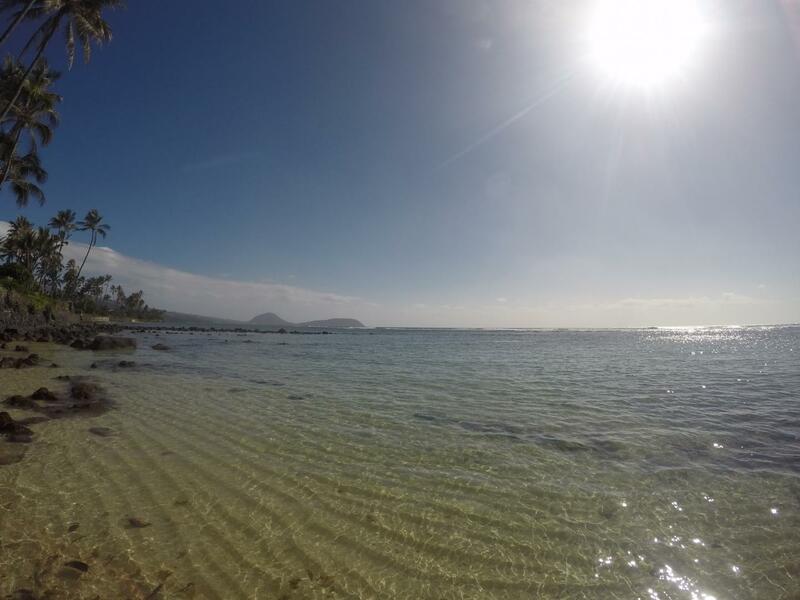 "SGD is common on nearshore coral reefs, especially in Hawai'i, so we set out to test how SGD affects coral reef growth in Maunalua Bay, O'ahu." said Megan Donahue, associate researcher at the Hawai'i Institute of Marine Biology (HIMB) in SOEST and senior author of the study. "Additionally, we found that marine organisms responsible for bioerosion broke down the skeletal reef framework very quickly when exposed to high amounts of SGD," said lead author Katie Lubarsky, who completed this research as part of her graduate degree in Marine Biology at UH Mānoa. "Many bioeroding organisms are filter feeders that perform better in high nutrient environments, so the high nutrient groundwater likely enhanced bioeroder activity. This indicates that high inputs of nutrient polluted SGD could favor reef breakdown and substantially slow down overall reef growth." To the researchers' surprise, SGD actually enhanced coral growth when the nutrient enrichment and freshwater from the groundwater was at low levels. "Our results indicate that corals can thrive on SGD-impacted reefs if isolated from secondary stressors such as competition from seaweeds and sedimentation," said Donahue. "Maunalua Bay is situated in a highly urbanized area, and the coral reefs in the bay have become degraded as the population has boomed over the last 50 years. But active management to reduce invasive algae and limit fine sediments could allow coral recovery in Maunalua Bay." "While the current study found that corals grow faster when exposed to low levels of SGD nutrient enrichment, coral cover remains extremely low on the Maunalua Bay reef flats," said Nyssa Silbiger, study co-author and assistant professor at California State University, Northridge. "Our next studies will focus on how SGD and herbivory from fishes impact coral-algal competition, coral recruitment rates, and bioerosion rates."